Office 365 was designed to increase efficiency and reduce operating costs. Included in its suite of applications is Lync, a meeting and conferencing tool that allows you to communicate from anywhere, on any device. Microsoft Exchange offers you a professional email hosting service that keeps your data protected. And OneDrive for Business makes storing, syncing and sharing files easier and more secure than ever before. 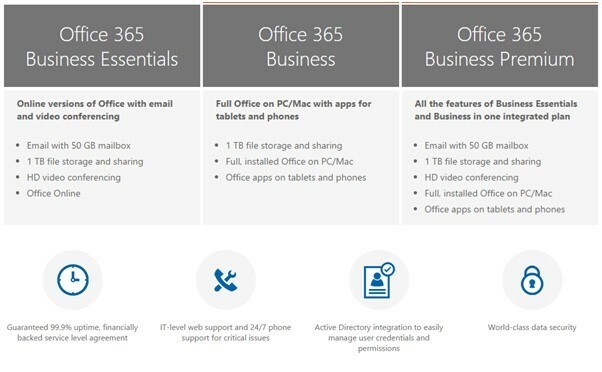 your Office 365 subscription lets you access your files and applications from any computer, compatible tablet or mobile device – so your place of work can be anywhere you want it to be. And with Microsoft OneNote, it's now even easier to take notes and share them with your team and your clients. Easy to set up and use install and deploy quickly. Set up new user accounts in seconds. Get updates automatically. The Office tools you rely on are always up to date. Get virtually anywhere access on select mobile devices. Work on your Office files online or offline. All your files are automatically backed up. Once you make the move to Office 365, it's business as usual. The user interface you know and love is the same across all applications. All your files will open just as they've always done, no matter what version of Office you have. And you'll have peace of mind knowing that Office 365 guarantees 99.9% uptime, so all your important documents will be safe and secure in the cloud, no matter what happens to any of your devices.